Invest in yourself or in your company this summer by attending one of the AFA regional conferences in your area. Each conference provides relevant training and gives you the opportunity to network and elevate your brand all at an affordable price while staying close to home. Whether you work in the field, on business operation or both, AFA offers training for you. Make plans to join us for the Rocky Mountain (June 14-16, 2018, Denver, Colorado), Northeast (July 18-20, Pittsburgh, Pennsylvania) or South Central (July 26-28, 2018, New Orleans, Louisiana) regional conferences this summer. Registration will open soon. 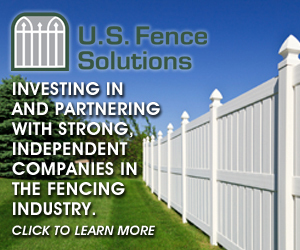 The fence industry, like many others, is highly competitive. One way to set yourself apart is through certifications. The letters that follow a person’s name show that the individual is an authority or expert in a particular area. This is a valuable marketing tool for you and your company. Obtaining a certification is not easy, but it is worth the investment. Explore the industry certifications offered by AFA and partnering organizations to identify the one that is right for you. 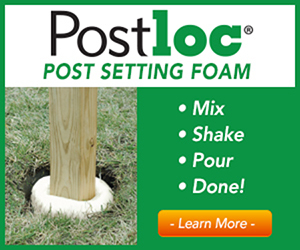 LAST CHANCE TO ADVERTISE IN THE MAY/JUNE ISSUE OF FENCEPOST! Don't miss your chance to target more than 10,600 industry professionals in print and online inside the May/June issue of our flagship magazine, available in both print and interactive digital version! 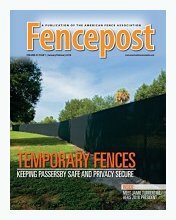 This edition will cover a feature on farm and ranch fencing, an article on outdoor living, and a story on access control. Participating is your perfect opportunity to gain exposure to manufacturers, contractors and distributors in the fence, deck and railing industries, but space is limited! The deadline to include your ad space is April 11, 2018. The AFA Education Foundation, a 501(c)(3) organization, provides scholarships to deserving college, university or technical school students. Eligible applicants must either be employed in the fence industry or an immediate family member of a current industry employee. The deadline to submit a scholarship application is December 1, 2018. To view eligibility requirements and additional information, please visit the AFA Education Foundation page. 5/10 - AFA Northeast Chapter Event - Lunch & Drinks, 11:30 a.m.
5/19 - AFA Memphis Tri-State Chapter 32nd Annual Golf Tournament, 12:30 p.m.
8/24 - AFA Northeast Chapter Meeting & Golf Tournament, 8:00 a.m.
10/3 - AFA Northeast Chapter Meeting - Pre Elections & Identify Theft, 6:00 p.m.
11/14 - AFA Northeast Chapter Meeting - Elections, 6 p.m.
12/7 - AFA Northeast Chapter Meeting & Holiday Cruise, 6 p.m.
Wayside Fence Company, a national fence manufacturer and wholesaler, announced recently that it released a Spanish version of their website. The OVS-01GT from OPTEX is designed to reliably detect the presence of a stationary or moving vehicle while also having the ability to ignore pedestrians. It also eliminates the hassles associated with the installation of a ground loop. No more concrete cutting required. The OVS-01GT is designed to be mounted 2 to 3 feet off the ground and can detect both small and large vehicles. The Wiegand Wireless Bridge (ES004) is a substitute for hard-wiring any standard Wiegand protocol. With "Bunker Busting" wireless technology, the system can transmit Wiegand data and/or a relay signal up to one mile with obstructions and 50 miles plus line-of-sight.